This genlock appears to be available in at least two versions and probably made by both Interactive and Rendale at some point. It was designed as an external genlock for use with the A1000 and was sold in a case designed to sit underneath the A1000. Originally it was an NTSC genlock, but a modified version was later released as a PAL solution. The genlock was completely controller by software via the parallel port. It may also have been sold under the name of "AG4". 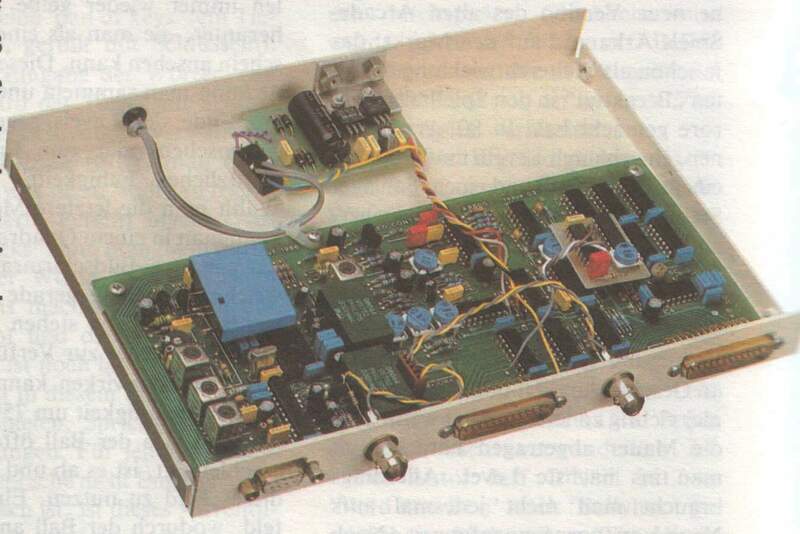 The version shown in the first two pictures is labelled as "PAL VIDEO CONTROL A8600 by Interactive 1986" and has 2 x 25pin CannonD male connectors and 1 x 9pin CannonD female connector. The card also has several potentiometers labelled as Ampst cd lev, freq, balance and cck. The version shown in the last two pictures is made by Rendale and has two additional BNC connectors.